So here we are on Good Friday with the Easter weekend ahead of us and our family are relaxing beside the sea enjoying an Easter break. 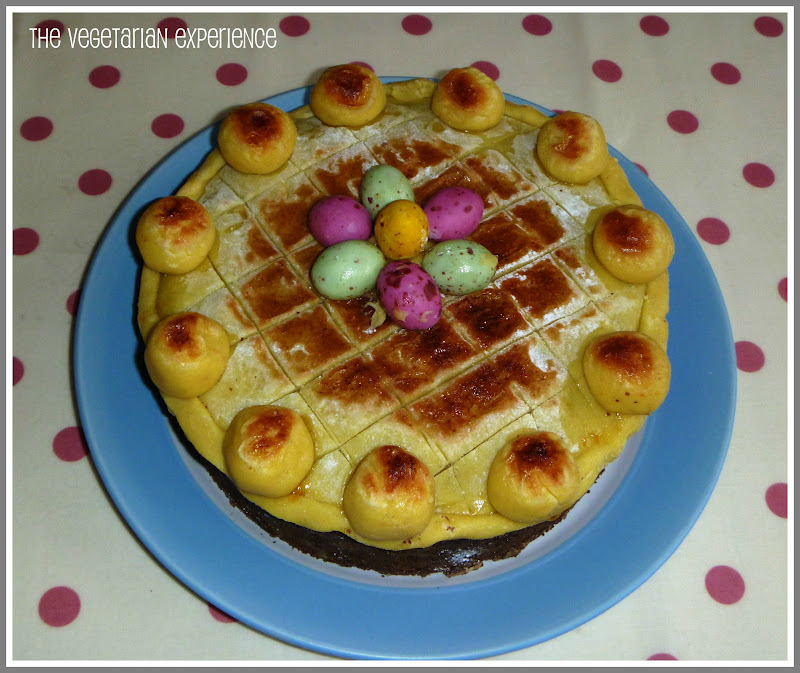 Today I am featuring a Simnel Cake which I made using Mary Berry's Simnel Cake recipe. 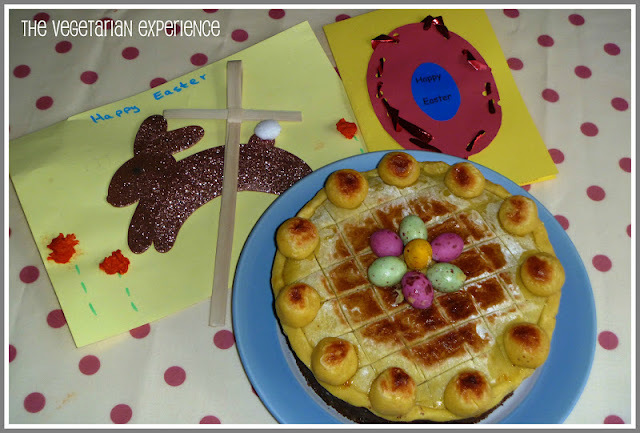 Simnel cake is a traditional cake made during Easter time. Traditionally, it used to be made by servant girls for their mother's on Mothering Sunday as a test of their baking skills, but over the years it has become an alternative to chocolate over Easter and also serves as a reminder of the true meaning of Easter. Simnel Cake is a traditional fruit cake with a layer of marzipan in the middle and a layer of marzipan covering the top of the cake. The eleven balls on top of the cake are said to represent the eleven true disciples of Jesus, with Judas omitted as he betrayed Jesus. So in amongst all of the Easter bunnies, chocolate eggs and fun this Easter holiday, do take a quick moment to remember the true meaning of Easter and enjoy time spent with your family and those that you love, and maybe even bake a Simnel Cake! What a lovely looking cake - Happy Easter to you all!